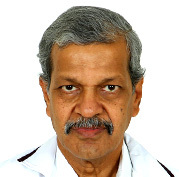 Dr. S. Jayaram Reddy has an overall experience of 32 years in the field of Urology. He has managed several cases with Urinary tract problems and male sexual problems. He specializes in Renal Transplantation, Andrology, Endourology procedures like Uteroscopy /RIRS, TURP, Holep i.e. Laser Prostatectomy, minimally invasive procedures. He completed MBBS from Osmania Medical College( Hyderabad), MS – General Surgery from Osmania Medical College (Hyderabad) and MCh – Urology/Genito-Urinary Surgery from Osmania Medical College, (Hyderabad).